Does the BCHR use violent tactics to achieve its goals? Of course not, and it never has. The BCHR advocates strictly non-violent methods, and all BCHR volunteers adhere to a strict code of non-violence. On the other hand, the Bahraini government has in the past not hesitated to use violence against our non-violent activities. The government repeatedly dispatches its paramilitary anti-riot squad to prevent us from holding peaceful seminars, vigils and marches. 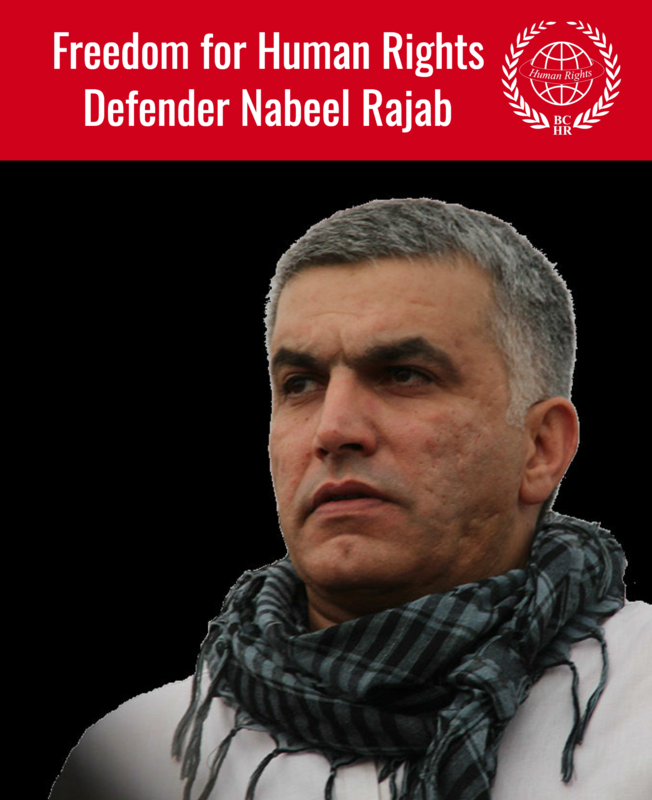 Several BCHR activists, including BCHR Founder and former President Abdulhadi Alkhawaja and the currently imprisoned President Nabeel Rajab, have suffered injuries due to the government's tear gas, rubber bullets, and batons. Is the BCHR a Shia organization? Of course not. Contrary to the way the BCHR is often portrayed in government propaganda, the reality is that we are proud to have as officers and members both Shiites and Sunnis, secular and religionists, muslims and non-muslims, Bahraini citizens and expatriate residents, men and women. We campaign for issues of concern to all people of Bahrain. As such, the issues we campaign for range from ending sectarian discrimination, to the repatriation of the Bahraini prisoners in Guantanamo Bay, to the protection of migrant domestic workers. Is the BCHR a political organization? No. The BCHR has in the past cooperated with government officials, parliamentarians and political societies, where common goals exist towards the protection of human rights. However, the BCHR is an independent organization without any affiliation to any political society in Bahrain or elsewhere. Then why has the BCHR made political statements in the past? It is true that the BCHR has not shied away from making statements about the political system in Bahrain, when necessary. First, we should point out that civil, political and economic rights are an essential component of human rights. This is made clear in the Universal Declaration of Human Rights, with Article 21 to 26 unequivocally stating the political and economic rights of people. This is expanded in the International Covenant on Civil and Political Rights. In Bahrain, however, it can be especially difficult to promote human rights without dealing with the underlying political issues. Power and wealth here is concentrated in the hands of a tiny number of individuals in the government and royal family. Attempts to improve human rights conditions are very often regarded by these individuals as a political threat. In a country where the human rights of various sections of the population are deliberately and routinely denied or abused as a matter of (politically motivated) government policy, human rights work inevitably becomes political. Why was the BCHR outlawed? On September 24, 2004, the BCHR's president at that time, Abdulhadi Alkhawaja, gave a lecture at a public symposium about poverty in Bahrain, in which he criticized the Prime Minister of Bahrain. In the following days Abdulhadi was arrested by the police, and the BCHR was ordered to close down by the Ministry of Labour and Social Affairs. (For further details, click here). As a result, the Center's office was locked, the government stopped recognizing the organization, and repeated threats of prosecution were issued to members. Despite the threats and lack of official recognition from the government, the BCHR has continued (even increased) its grassroots activities. It exists, de facto, due to support and recognition from the local communities it serves and several international human rights bodies. What is the BCHR's stance towards naturalization in Bahrain? The Bahrain Center for Human Rights welcomes and encourages the granting of Bahraini citizenship to long-term expatriate residents from any part of the world, in a legal, transparent and non-discriminatory process. What we are opposed to, however, is the use of naturalization by the government to engineer the demographic makeup of the country for its own political purposes. We are especially opposed to it when the government grants Bahraini citizenship to people who do not fulfill the necessary legal requirements -- such as to people who have never even lived in Bahrain. This type of illegal naturalization only serves to fuel sectarian differences and xenophobic attitudes towards newly naturalized citizens and expatriate residents. Where does the BCHR get its finances from? Because the BCHR has been outlawed by the government, it is unable to solicit funds, open a bank account, or hire independent financial auditors in Bahrain. As a result, the BCHR exists on a very meager budget. 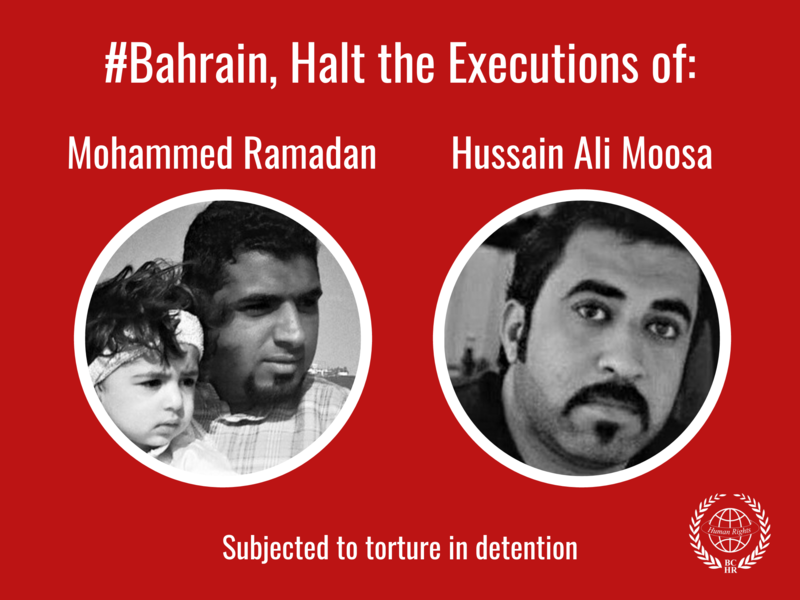 What is the BCHR's strategy for improving the human rights situation in Bahrain? While there are several civil society organizations in Bahrain that are focused on lobbying the government, the BCHR believes in a grassroots approach. Rather than asking the government to change the situation, our primary agenda at this stage is to help the affected people understand what their rights are, and how to go about protecting them. As such, we arrange public seminars, community-level discussion forums, and street demonstrations, all with the aim of raising awareness of human rights issues and building solidarity among affected people. The BCHR also engages in advocacy work as part of building a human rights culture in Bahrain. We lobby the Bahraini authorities, government, officials, and stakeholders in various issues in order to press for greater responsibilty and the recognition and respect of human rights. The BCHR believes that the affected people must speak for themselves rather than being spoken for by others. This is why, wherever possible, we have initiated and facilitated a number of independent issue-based committees in which affected people choose their own course of action and speak with their own voice. The committees initiated by the BCHR include: the "Unemployed and Underpaid People Committee", "Landless People Committee", and "Victims of Torture Committee". Unlike most other human rights organizations in Bahrain and the region, the BCHR gives special priority to economic and social rights. For one, these rights are integral components of human rights in general. But more importantly, we find that almost all human rights issues are in some way tied to fundamental social and economic conditions. On the one hand, some people commit human rights abuses due to socio-economic pressures, while on the other hand we find that many victims of human rights abuses are unable to seek justice because of huge socio-economic imbalances in society. Therefore, we regard socio-economic rights as being key to improving general human rights conditions.